It seems like the pension change that the NFL is putting forth is officially costing the Colts two of their coaches. 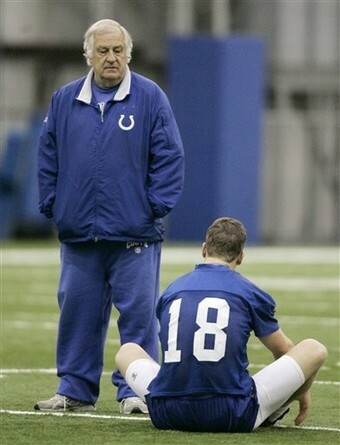 The Indy Star reports that both offensive coordinator Tom Moore and O-line coach Howard Mudd are calling it quits. The league passed a ruling that allowed teams to revise their pension plans. Under the current bylaws, the coaches could take a lump sum of their retirement money, whereas they ran the risk of having their pensions reduced had they stayed on. It’s a huge blow to the club to lose both, as Moore has been around a number of years and was a big part of the development of QB Peyton Manning. Assistant OL coach Pete Metzelaars and WR coach Clyde Christensen are expected to take over as OL coach and offensive coordinator.